ORANGE, Calif. (March 28, 2019) – TheOrange County Business Journal (OCBJ) has announced that Reza Jahangiri, Chief Executive Officer of American Advisors Group (AAG), the leading provider of home equity solutions for retirement, has been selected as a winner of the 18th annual Excellence in Entrepreneurship Award. The award is designed to celebrate individuals who, by their creativity and determination, have established and nurtured successful business ventures. Jahangiri was selected as one of five winners in a field featuring 92 of the most successful entrepreneurs in Southern California. 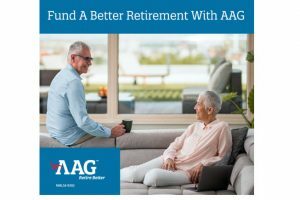 In 2004, Jahangiri launched AAG to help seniors retire in place, and it quickly grew into the largest reverse mortgage lender in the nation. 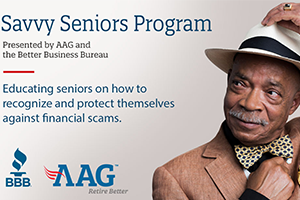 Today, AAG has 1,200 employees and is a complete home equity solutions company, after shifting to a product-agnostic business model that remains solely focused on seniors. AAG’s success is attributed to Jahangiri’s vision of a caring, ethical and driven workplace. AAG’s purpose-driven culture has resulted in numerous accolades for the company, including OCBJ’s Civic 50 award for Corporate Citizenship and a spot on Entrepreneur Magazine’s Top Company Cultures list.